Some of the most diversified islands of the Caribbean are just waiting to be explored. 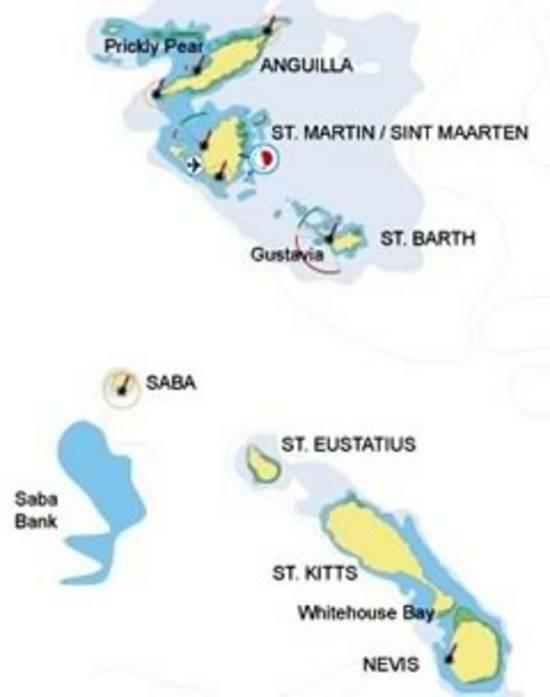 Called "Iles du Nord" by the French local population, the Leeward Islands offer a spectacular cruising area, consisting of three main islands: Anguilla, St Barthelemy, and St Maarten/St. 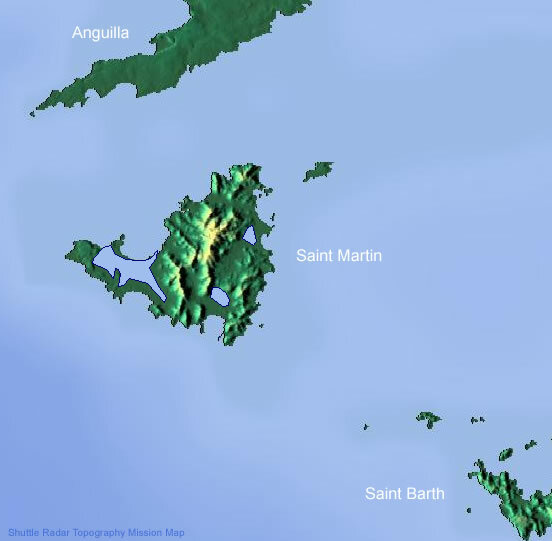 Martin; the smallest territory in the world divided between two nations, France and Holland. From the pristine and deserted beaches of Anguilla to the finest gastronomic restaurants of St Martin and to the exciting night life of St Barth, there's something here for everyone - and all just half a day sailing away! With more than 100 nationalities on less than 25 square miles, St. Martin is a unique island that deserves her nickname: the friendly island. Leave from Simpson Bay Lagoon (11:30am bridge). Anchor in Simpson Bay, just after the bridge and dinghy across to customs at the bridge for clearing out. Take a short sail to Marigot - capital of the French side and become familiar with your yacht (2 hours). Spend your first night at anchor in Marigot. Possible shopping at the Creole market! The capital city of Marigot is perhaps the most French in spirit of all the cities in the Caribbean. Colonial houses stand beside smart cafés and bistros, pastry shops and luxury boutiques, and in many ways it looks just like any of the French market towns you might expect to find on the Continent. Depart Marigot and escape to the beautiful island of Anguilla (3 hours sail). Surrounded by unspoiled coral reefs and miles of powder-soft white sand beaches, this lightly populated island welcomes you with charming villages, serene harbours and offers several diving wrecks for enthusiasts. Clear customs in Road Bay, and then sail down to Sandy Island - a tiny spot just off the coast and home to a solitary bar! Sail back to Crocus Bay for the night. Spend your 2nd at anchorage in Crocus Bay. Sail from Crocus to Prickly Pear and spend the day on a picture perfect beach surrounded by coral reefs teeming with life. Still as stunning, but dramatically different, the cliffs at Little Bay are well worth a visit and a meal at Malliouhana Restaurant at Meads Bay is a must with its 25,000 bottle wine cellar. Then sail down to Scrub Island to spend night 3 at anchor (BBQ under the stars on Scrub). From Scrub, sail south to Tintamarre through windward point. Spend a relaxing day on the beach in Tintamarre. Spend your 4th night at anchor. 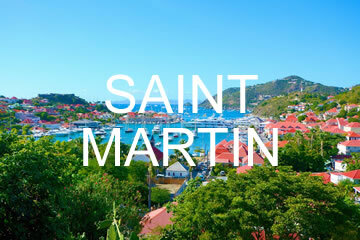 From Tintamarre sail down to the city of Gustavia in St Barth, one of the most charming villages in the Caribbean featuring vintage architecture, open-air markets, cafes and boutiques. Clear customs and then take the short sail to the secluded Bay Colombier, by the Rockfeller mansion. From Colombier downwind to Ile fourche to go snorkelling and diving. Spend the night at anchor.